What keeps you from using the washer? Is it not starting up? Is it not latching? With our expert washing machine repair in Gloucester, we fix all problems. Call us to diagnose the issues with your laundry machine. We help quickly, carry a variety of spares, and have the required skills to repair washing machine models by most brands. When you work with Appliance Repair Gloucester, washer trouble is fixed effectively the first time. We keep our prices down to enable you to reach out to our company every time you have issues with your washing machine or dryer. Whether you need our help with washer problems or have a combo appliance, our washing machine technician is the one you need in your laundry room. With expertise in all laundry appliances, our washer repair technician in Gloucester, Ontario, can help you with any related problem. What can happen to washers? They might fail to wash well, latch properly, drain or spin. So, our first job is to identify the parts which have caused one or more problems. With our sophisticated equipment, the job is done with accuracy. Our techs can isolate the problematic parts and replace them – if this is necessary. 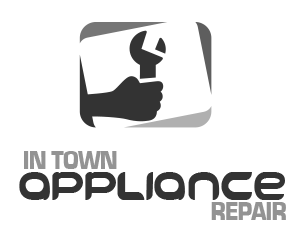 One way or the other, the washing machine repair service will be offered rapidly and completed with success. What we can also do is install a new washing machine. We provide correct washer installation the first time because we work by the book, pay attention to the specs of the new appliance, and are knowledgeable. Call us to install the new appliance, especially if this is a combo washer & dryer. Since our techs are washing machine experts, they can also provide maintenance. And annual washer service will enhance the performance of your appliance. When parts are checked, adjusted, and fixed on a regular basis, they perform well and hardly trouble you. And that’s a good deal if you use the appliance a lot. Let us assist you with your washer needs. Get in touch with our Gloucester washing machine repair technicians if you need any service.